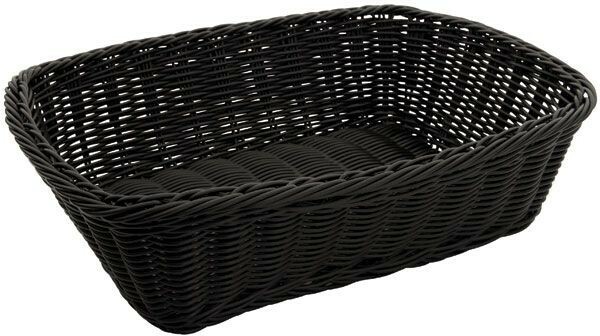 LionsDeal > Tabletop & Bar > Tabletop Accessories > Restaurant Food Baskets >< Woven Baskets > Winco PWBK-118T Rectangular Black Poly Woven Basket 11-1/2" x 8-1/2" x 3-1/2"
Winco PWBK-118T Rectangular Black Poly Woven Basket 11-1/2" x 8-1/2" x 3-1/2"
Combining style and durability the Winco PWBK-118T Rectangular Black Poly Woven Basket 11-1/2" x 8-1/2" x 3-1/2" is great for any fast-paced food service establishment. Constructed from flexible polypropylene, it can handle heavy commercial use and its rim and base have reinforced weaving to give it extra stability. This woven basket is dishwasher safe and easy to stack while its black color makes it suitable for both casual and formal dining settings. 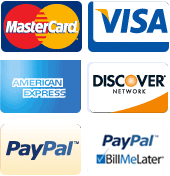 Use it in your restaurant or hotel to serve bread, rolls, muffins, tortillas and more. 11-2/5" x 8-7/10" x 13-2/5"